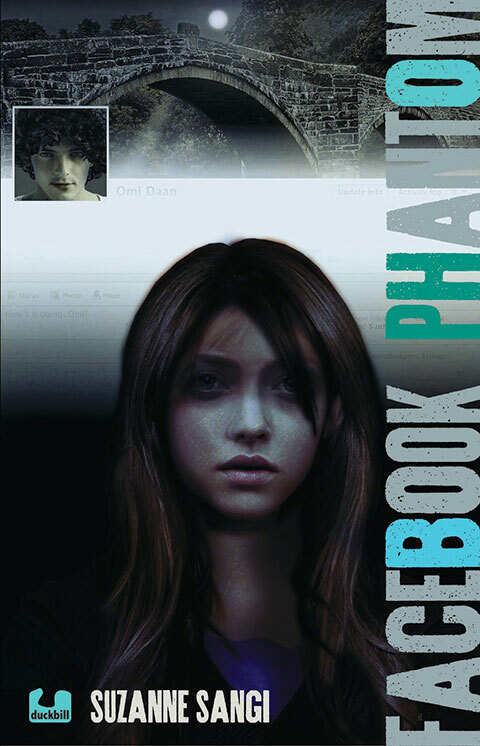 I started reading Facebook Phantom by Suzanne Sangi in a vacuum—no blurb or author introduction was read, and no time was spent dissecting the book cover. I’d love to claim all of this was a deliberate decision, to ensure only the most natural reaction to the book, untainted by any subconscious biographic bias, but it wasn’t. Halfway through the book, while plodding through some childish writing meant to impress (remember how hard you tried to make all your characters sound sarcastic and cynical as a budding teenage writer? ), I just had to find out how old the author was. Whether the book was a blubbering mess of a diary entry fit to remain only in the deep abscesses of the author’s brain or an endearing effort depended entirely on this vital piece of information. Suzanne Sangi is 17 years old. Considering that the only thing that doesn’t work for Facebook Phantom (apart from this ghastly title) is the childish writing, I’d consider the book more or less a success. It’s heartening to see publishers like Duckbill (amongst others) scouting fresh talent and attempting to fill the gaping hole in Indian Young Adult fiction. There are bound to be a lot more failures than pay-offs as a consequence of branching out into untapped genres, and Sangi’s book is smack in the middle of that divide—leaning towards being a pay-off. The representation of young adults and their issues in Facebook Phantom is surprisingly competent and the style is easy on the eye. The plot is interesting as well. One summer vacation, your typical teenager Sonali Machado stumbles upon a mysterious message in her Facebook inbox from someone called Omi Daan, asking her if she was happy. As teenagers are wont to do, Sonali decides that entertaining this whack-job is the best way to kill some time amidst an otherwise boring summer break. I love how Sangi walks you through the usual teenage tropes of the annoying sister; the Lizzie McGuire classic trifecta of a normal teenager armed with a pair of girl and boy B.F.F.s, too-cool-for-school; a budding online romance with some good looking guy; only to pull the fuzzy carpet out from beneath your feet. Get halfway through the book, and the plot turns delightfully dark. Most young writers, when they start off, tend to mimic their favourite authors. A lot of one’s early writing tends to be a mish-mash of everything one reads, and young writers often find their voice only after a considerable amount of writing through that phase. Sangi is no different. Facebook Phantom seems to be Sangi’s exercise of writing through. Even for something that is more rehearsal for the actual race than the race itself, what a refreshingly original story. I’m cheering from the stands. Facebook Phantom is also smart enough to end exactly where it does, how it does, and in the number of pages that it does. There are some aspects that Sangi needs to work on in terms of characterisation and finding her characters a voice that is wholesome and rounded. The characters in the book, especially Sonali, Joanne, and Neel seem to be straight out of some sort of Thinkstock for authors. For what it’s worth, the pacing of the book is rather fast, the story moves quickly, and doesn’t bother with staying for too long in one place. This is ultimately a smart move, considering Sangi’s strength is story and not her writing. If she hovers at a place in the plot line for too long, the achingly raw writing shows through, which is what happens every now and then throughout the book: you break into a comfortable trot in the narrative, only to be tripped up by an occasional bit of juvenile writing. 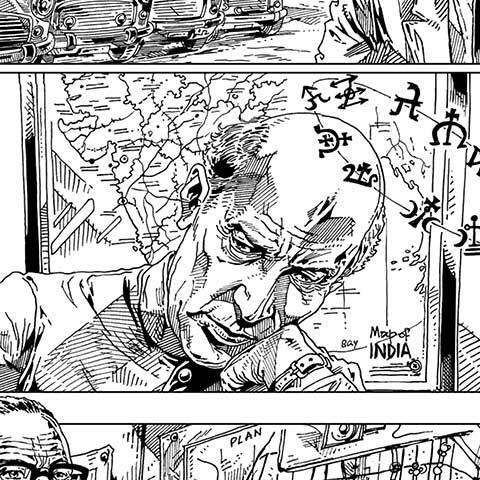 Readers of Facebook Phantom will be witness to the slightly chaotic makings of an author with the potential to be good—this is the gestation of a writer, you realise. You’ll float through the amnion of Facebook Phantom rather enjoyably for the most part, occasionally being made painfully aware that this promising author is still awaiting birth. Brilliant! Its one of the best book reviews i have ever read.